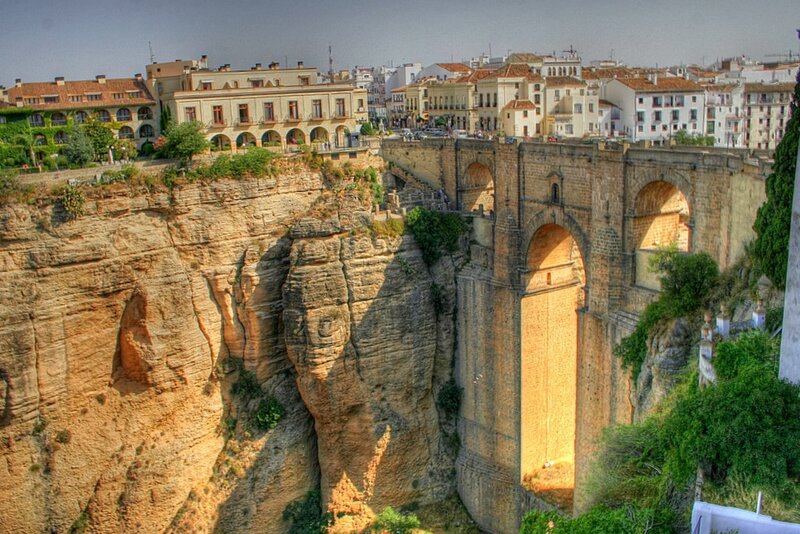 The 'Puente Nuevo' is more than 260 years old bridge in the town of Ronda, Spain. 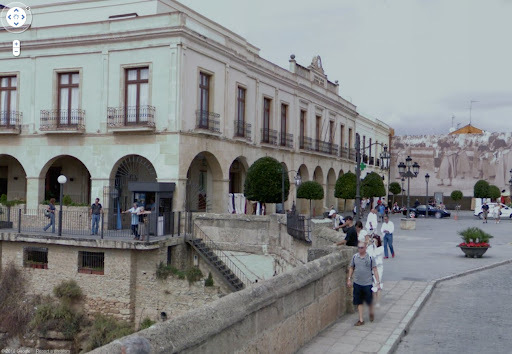 At the time of its construction in 1793, it was the third bridge in the town and hence it came to be known as 'Puente Nuevo' (New Bridge) and is called by this name even today. 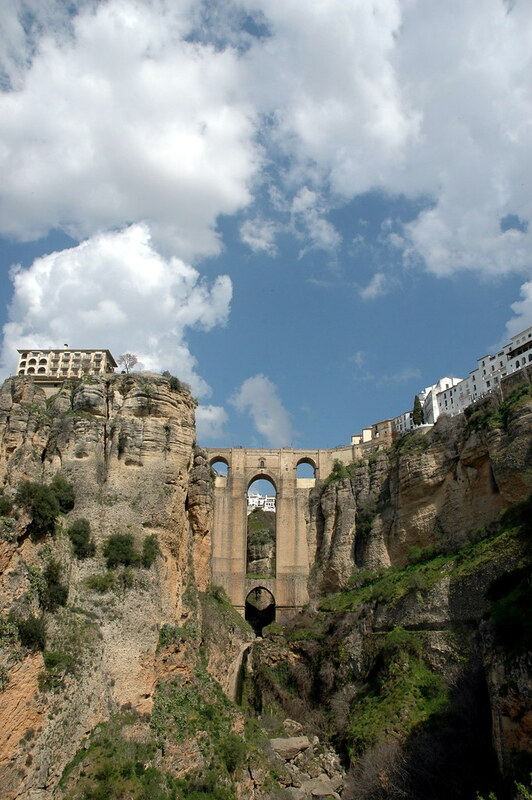 The township of Ronda is bisected by a narrow, 120-metre (390 ft) deep 'Tajo' gorge of the River Guadalevin. 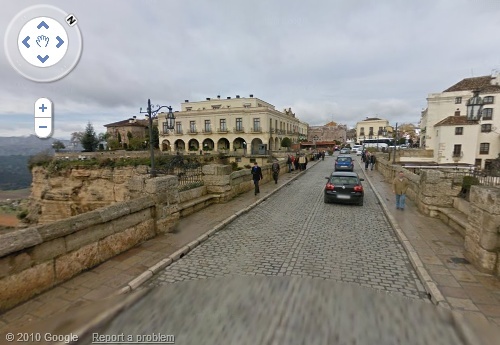 Puente Nuevo connects the two sections of the city. 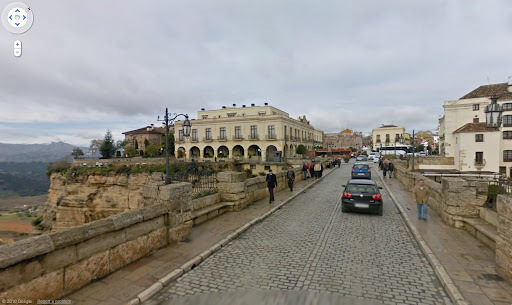 Two earlier bridges, 'Puente Viejo (Spanish for Old Bridge), and 'Puente Romano (Roman Bridge) (aka 'Puente árabe- Arab Bridge) exist even today and are used for pedestrian traffic. José Martin de Aldehuela was the architect of the New Bridge and chief builder was Juan Antonio Díaz Machuca. 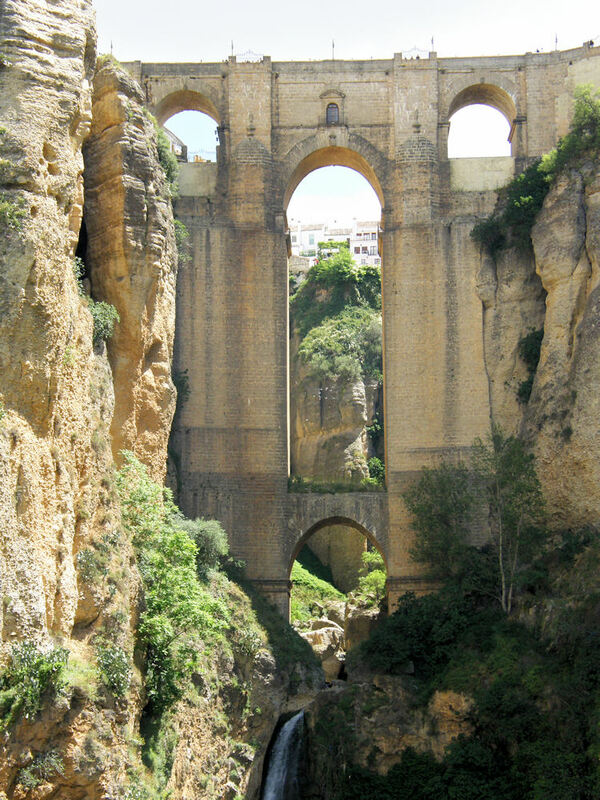 It took about 42 years to build it and reportedly about 50 builders lost their lives while constructing the bridge. There is a large chamber underneath the central arch which was used for a variety of purposes, including as a prison and torture chamber during the Spanish civil war (1936 to 1939). Some prisoners were even put to death by throwing them from the windows to the rocky bottom below. Subsequently it was also used as a hotel bar. Presently it houses a museum or Interpretation Centre exhibiting/describing the bridge's history and construction. The chamber can be accessed through a stairway on the north-west end of the bridge. Set amidst a rocky surrounding, this amazing work of architecture with tall narrow arch and high piers has a very impressive and majestic appearance. It is reportedly one of the most photographed man-made structures in Spain. A replica of this amazing bridge is installed at the city outskirts as a welcome sign for the visitors. 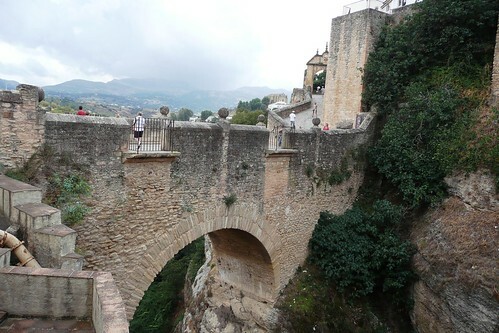 Puente Viejo (Spanish for Old Bridge) - the smallest of three bridges in the town. 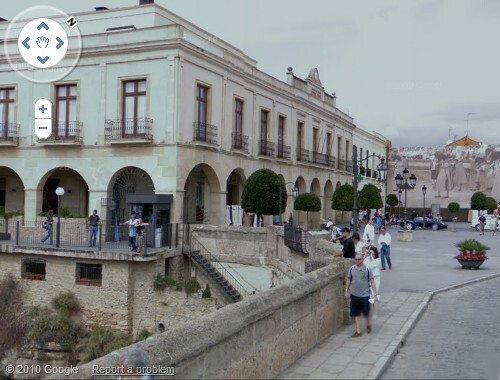 Puente Romano (aka 'Puente árabe- Arab Bridge) - the second bridge and probably the oldest - though it is not the original as same was destroyed and this was later rebuilt. It is at the entrance to the gorge hence is not high. Thank you, I love bridges. These are beautiful! !